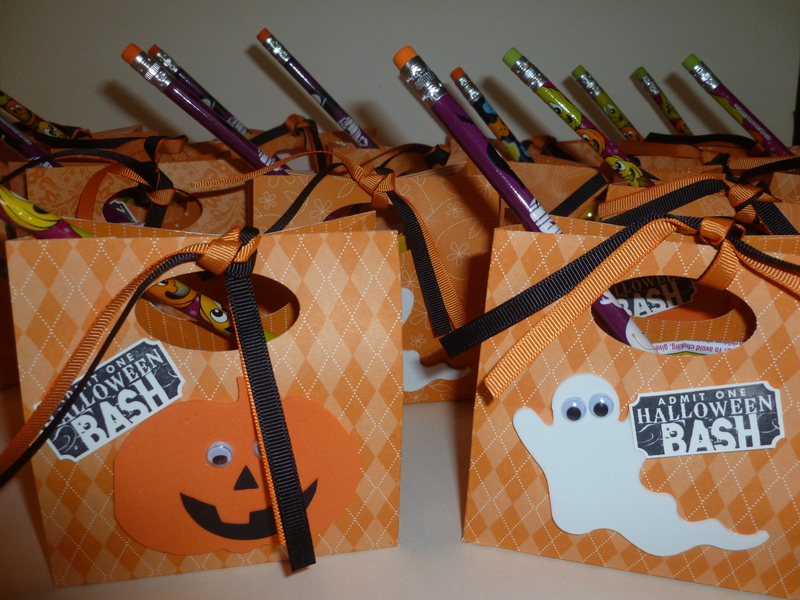 Get ready, get set Trick or Treat…. Today’s “treat” was made for my son’s Halloween party at school today. I am also submitting this idea for the Blooms and Butterflies Challenge #20 as well. So you can get an idea I fit in 2 fun size candy bars, a package of fruit snacks and had a pencil peeking out. You could probably even fit in a couple more fun size candy bars inside. 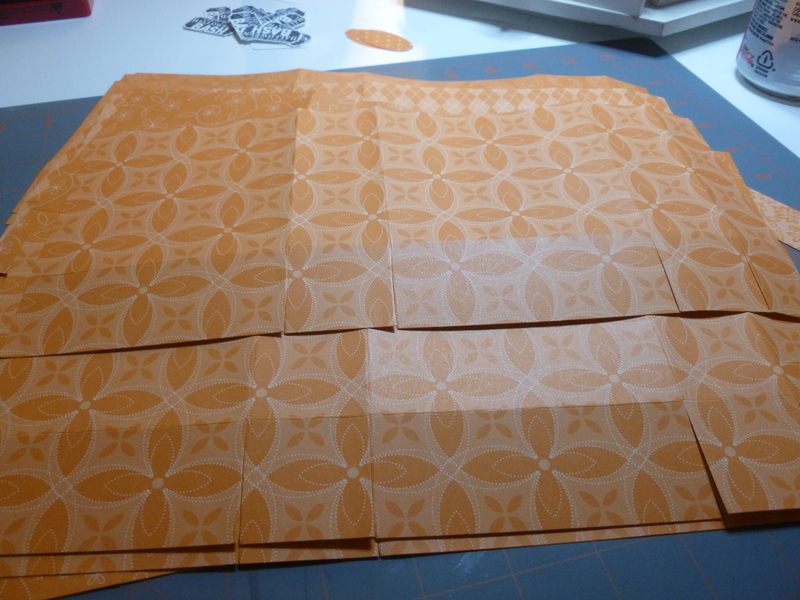 I did use up all my Pumpkin Pie Designer Paper that I had on hand to make the bags. These would be cute if you have the Witches Brew Designer Series Paper #132185 $10.95 (from the holiday catalog). 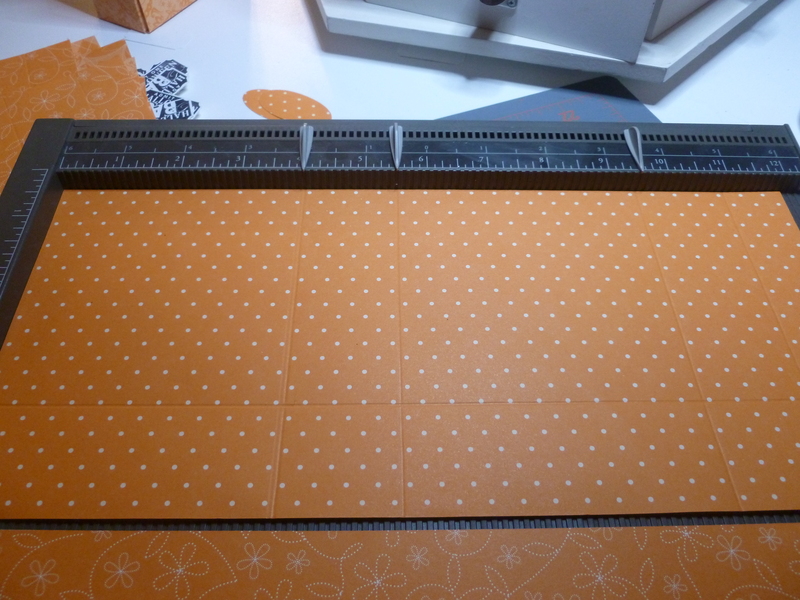 Cut up each score line to the score line of the 1 1/2″. 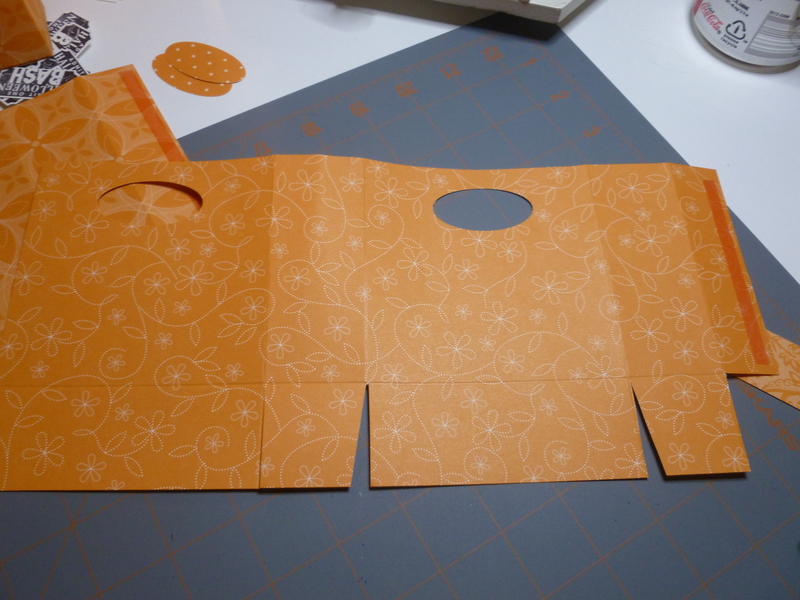 I then cut away a piece of the bottom since it’s not used and metered a few of the corners so the bag fits better together. I punched the top for a handle and added some sticky strip to the side and along the back side at the bottom. See next picture. 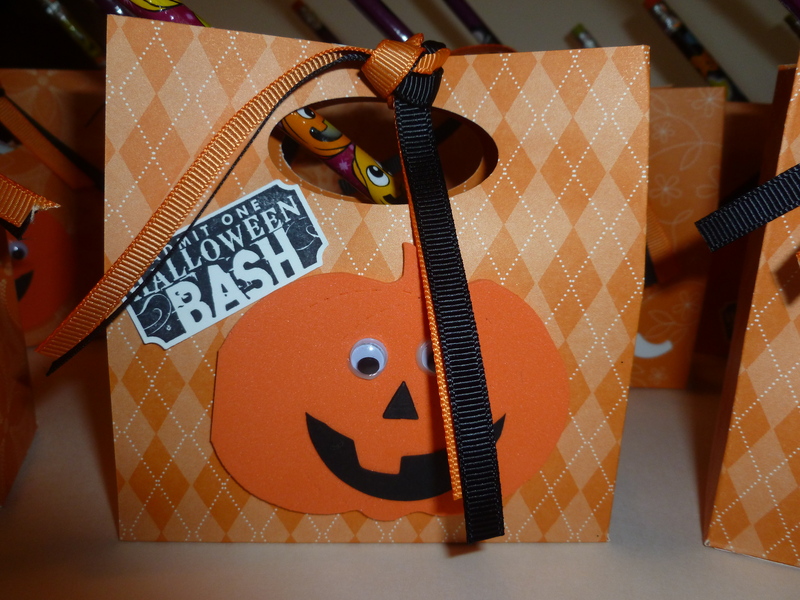 Fold at crease lines, assemble the bag and decorate as desired. 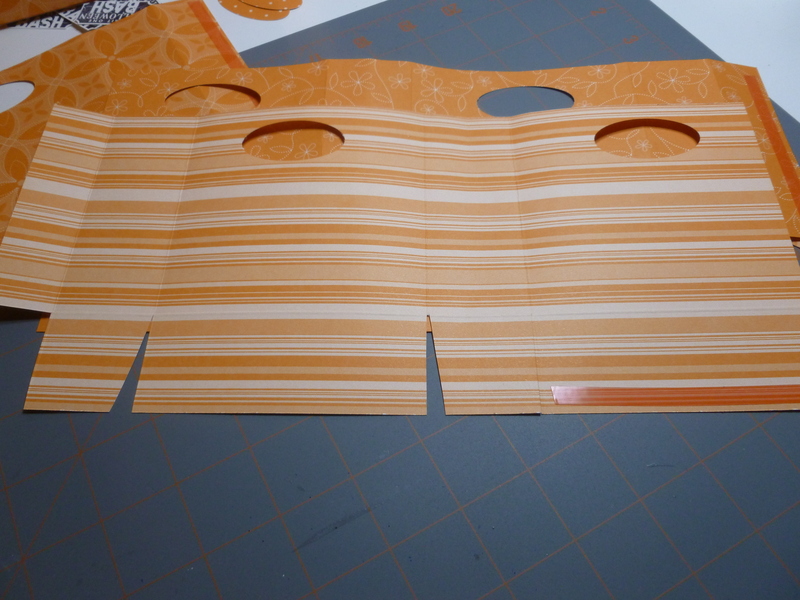 Other options: If you don’t have a wide oval punch then you could use ribbon or paper for the handles as well. 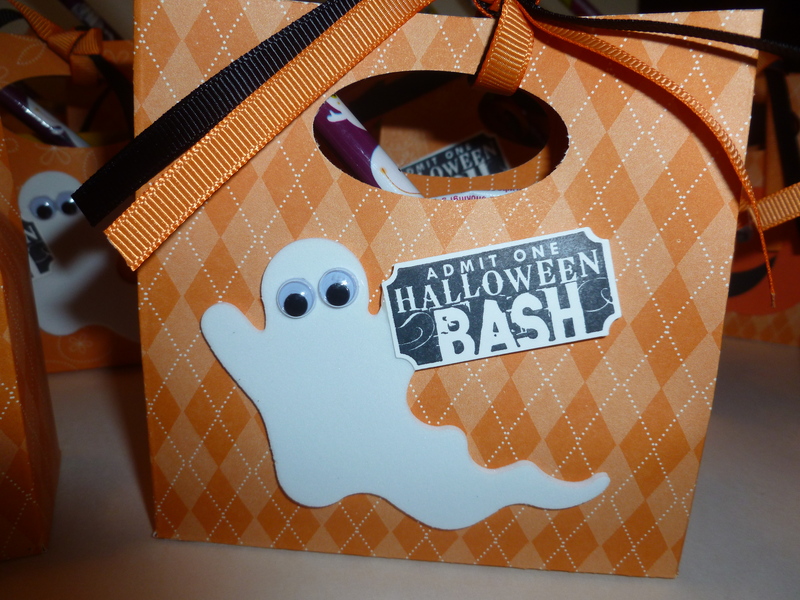 Pumpkins and Ghosts: sizzix die that I have. Tied it together with some Black and orange ribbon. From our house to your house I hope you have a Happy Halloween!